Todays' list is about Architecture and the greatest minds who turned buildings into amazing works of arts, designed to fulfill their function and meaning. 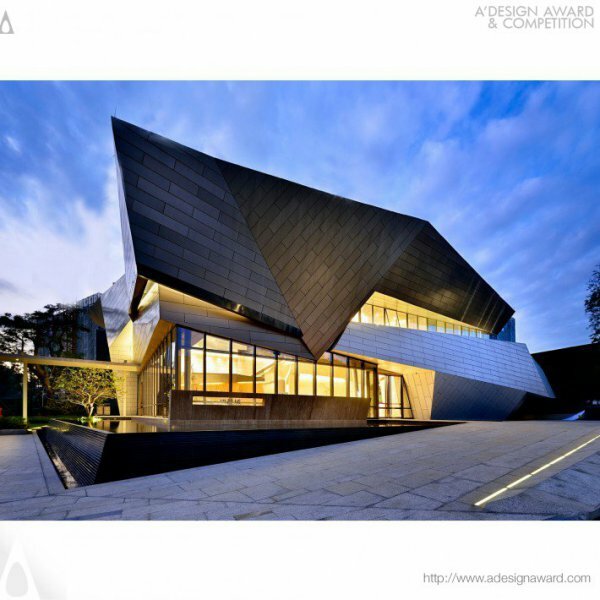 Here is our list about the top 5 award winning architects with their amazing works, starting with Kris Lin who is one of the greatest architects who proved their name in the Architecture field and is one of the top ranked architects. Light Waterfall Sales Centre has been designed by Kris Lin with the theme of water, and the idea of elevating the beautiful natural environment that it is placed in. The building is meant to host shows and meetings inside and we are sure that this beautiful architecture attracts the customers and contribute to good sales. Tai Chi is another amazing design by Kris Lin. Beyond its function as a sale centre, it stands beautifully like an art sculpture with the consideration given to the types, selection and detailing of the steel structures. With its two facade incorporating the light and shadow play, one side is light when the other side is dark, standing for two elements that are "Yin" and "Yang" of Tai Chi respectively. 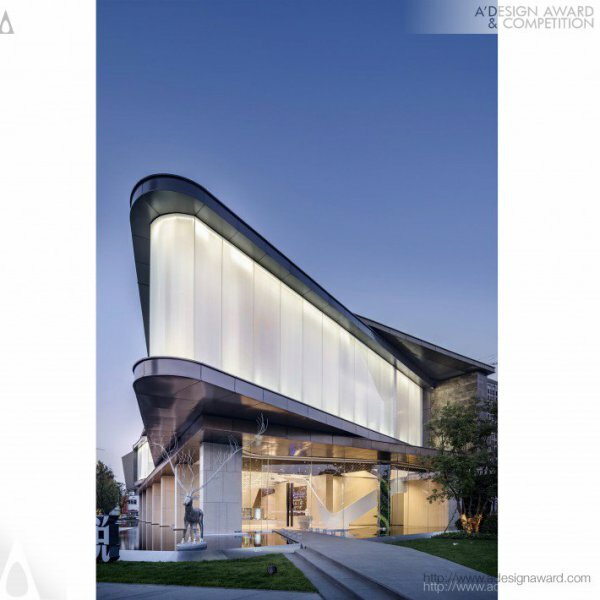 Kris Lin played with materials and light to design the Waving Ribbon Sales Centre to create an eye-catching building. Waving Ribbon looks like a floating light box with its simple and free curve lines applied to the external wall design. The “Ribbon” serves two distinctive function in this design: decorative and boundary. Grey and white ribbon interlaced with each other, which connects all the spaces at 1st and 2nd floors while separate and divide the space into areas. Named after a vision of walking toward the sky, this building that seems to “take off from the surface of earth” is also the work of Kris Lin. Skywalker Architecture is designed in a way to invite people to raise their head and watch the sky, implying a smooth and upward trend in everything. 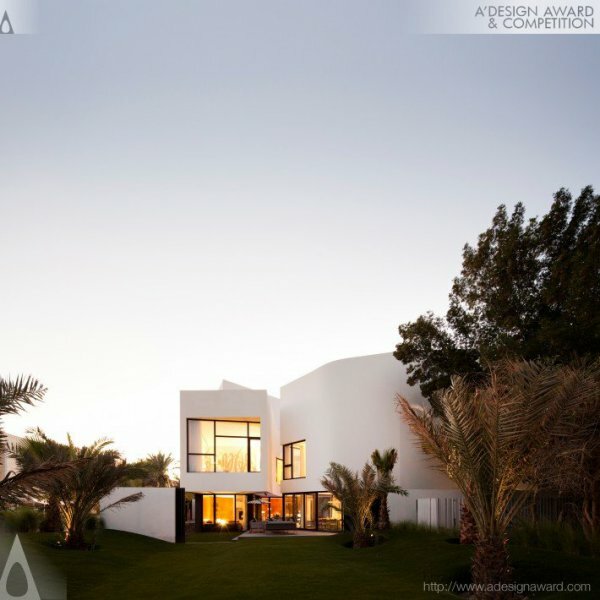 MZ Architects comes second in our list of Top 5 Award Winning Architects. It is one of the most recognized Architecture and consultancy group in the Middle East with the headquarters located in Lebanon. MZ Architects is as an architecture and urban planning firm providing services for master planning projects, small-scale houses, hotels, high-rise buildings, residential buildings, stadiums, cultural centres and industrial buildings spread across Lebanon, Qatar, the UAE, the Kingdom of Saudi Arabia and Nigeria. The Ring House and Atelier is designed for a young Saudi jewellery artist by MZ Architects. 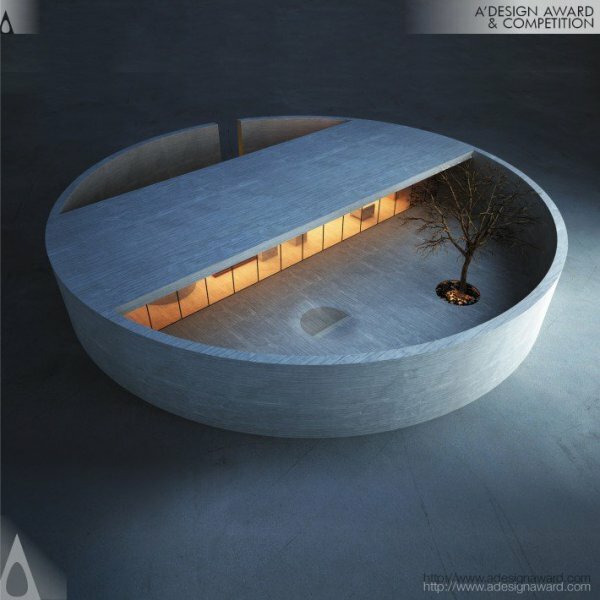 The building consists of a circular protective volume embracing the rectangular living area. It is designed to reflect the soul and creations of the artist, to act as a safe cocoon where she can retreat and let herself grow both as an independent person and a genuine designer. 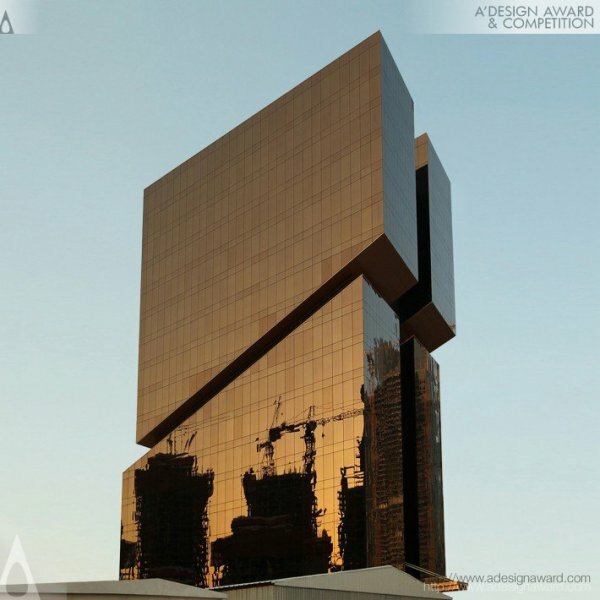 Golden West Bay Office Tower is a building designed to be a monumental silhouette, to create an eye-catching structure standing out from the rest. The Golden West Bay concept exemplifies a pure geometrical scenario tailored by a clear physical language. The diagonal cut of one pure rectangle and the sliding of the parts resulted in a striking, modern three-dimensional image. The two sliding parts challenge gravity and embrace one another through a joint. 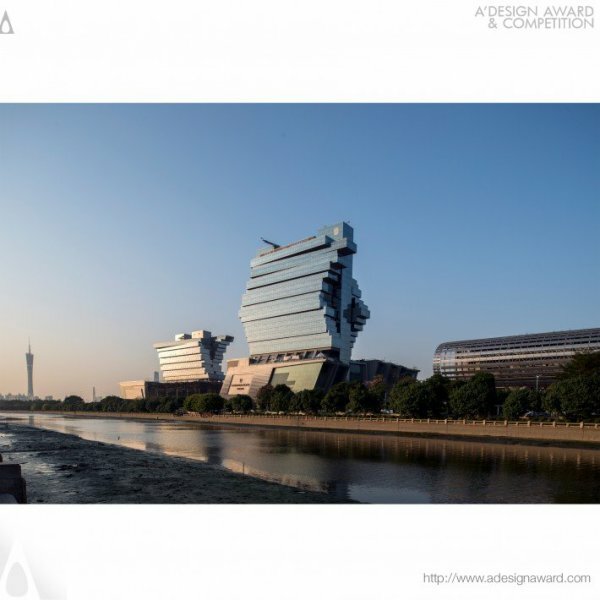 This innovative design approach creates an eye-catching structure that stands out from the rest. 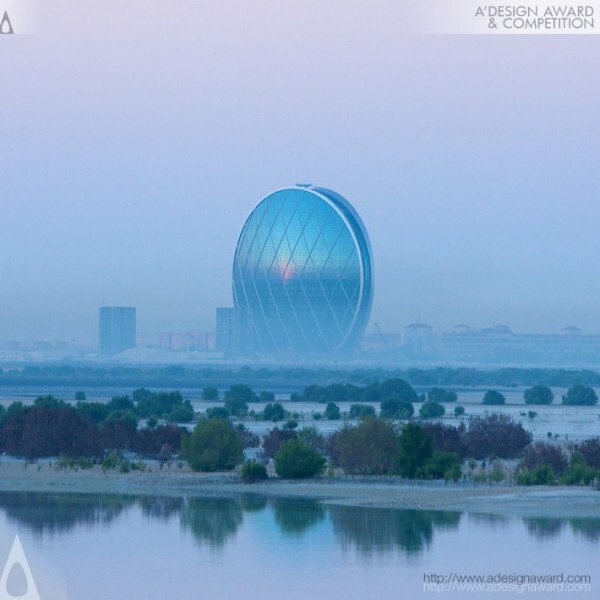 The Aldar Headquarters designed by MZ Architects has a distinctive and innovative design: a semi spherical building comprising two circular convex shaped facades linked by a narrow band of indented glazing. On the beautiful Al Raha beach, The Aldar Headquarters is a building that would possess the calm. 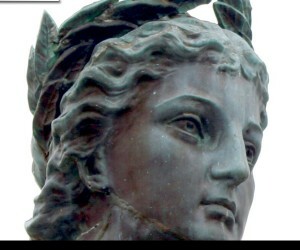 Ideal beauty of the classical architecture. 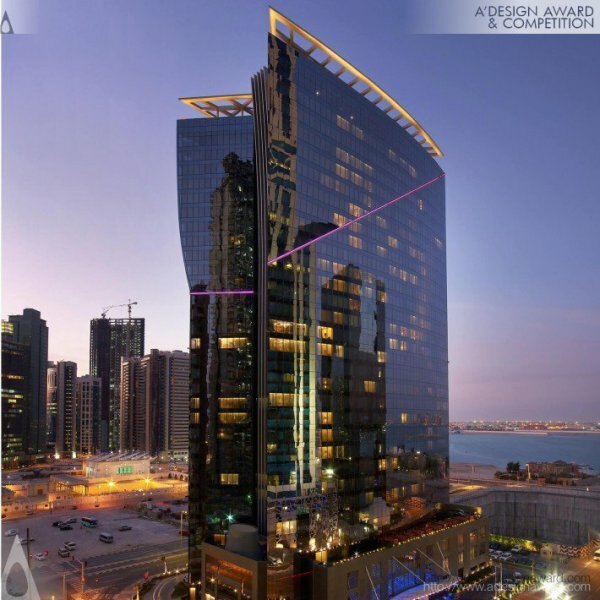 MZ Architects designed the W Doha Hotel and Residences, the famous luxury hotel brand’s first signature hotel in the Middle East. 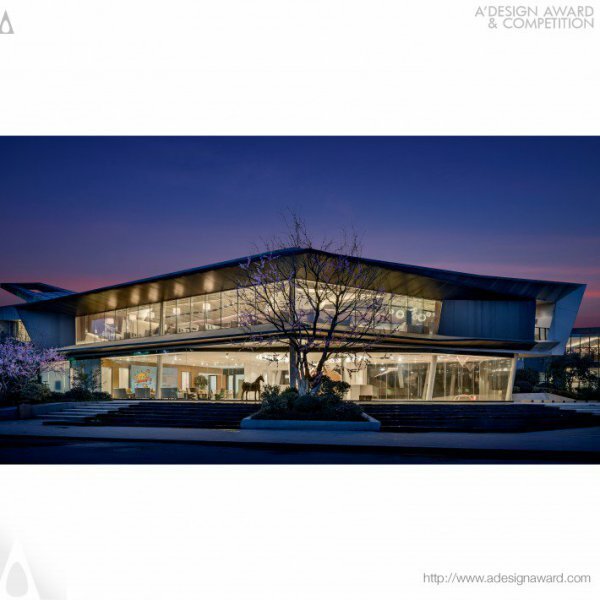 MZ Architects managed to create this amazing building, constructed upon the brand’s unique values and local influences, using cutting-edge design. W Doha Hotel & Residences’ unique architecture stands out in the West Bay area of Doha where it is conveniently located. 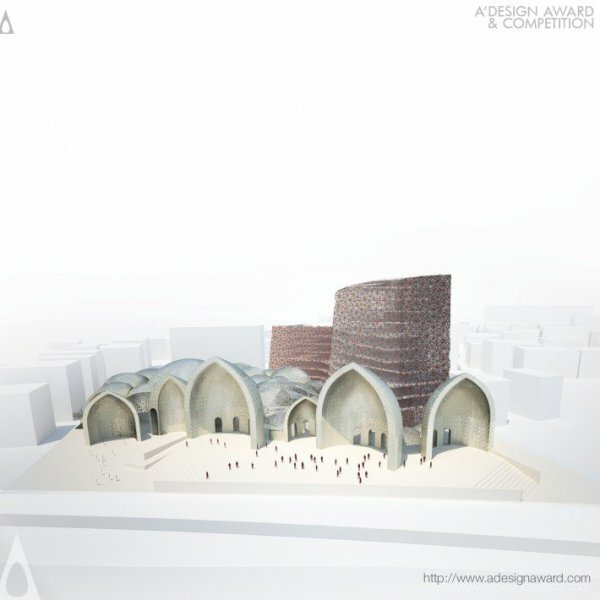 AGi architects was founded by two Harvard University graduate, Joaquín Pérez-Goicoechea and Nasser B. Abulhasan. They embraced an international character and with their multi-disciplinary focus, AGi architects focus on the quality and the creativity in design. 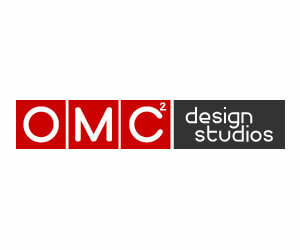 At present, the studio has offices in Kuwait and Madrid, with a team comprised of more than 50 professionals. Mop House is a private residence project created by AGi architects. 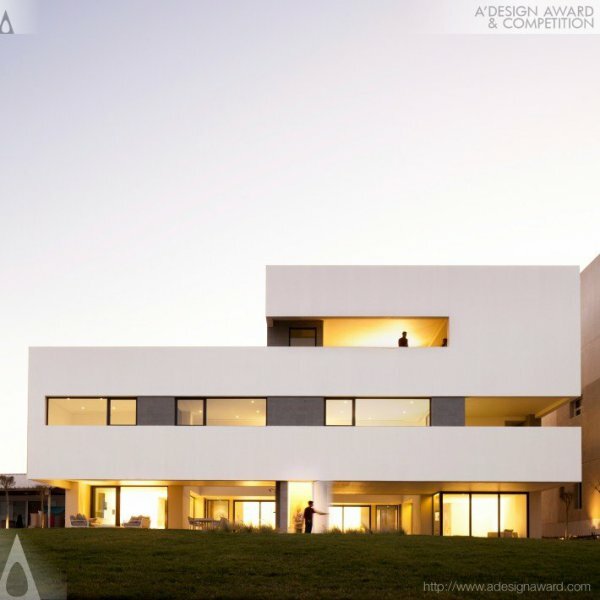 Initially designed for one family, the house is designed in a way to inhabit two families in the prospective future. The structure of the house and the distribution of the functionalities have been done according to the potential future. Located in the Kuwait City, Mop House definitely designed to create a peaceful living environment for the two future families, making sure they are together but separate within their respective intimacy. Haj House Building Complex is envisioned to be inviting, it is designed by AGi architects not only cater to any user involved in the process of training and educating related to Haj, but could also be open and accessible to general public. Inspired from the Islamic traditional culture, Haj welcomes the city with its façade across the river, conveying the spirit of Islam. 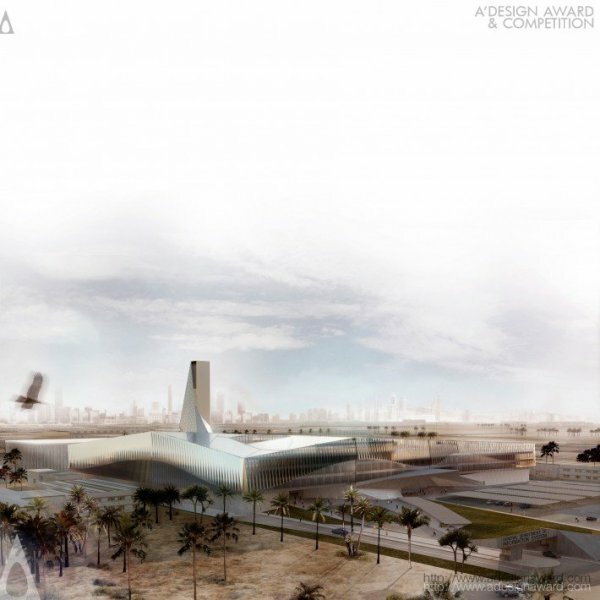 The design proposal for the General Department of Information System, GDIS, in Kuwait, developed by AGi architects in collaboration with Bonyan Design, is based on three principles: representativeness, security and functionality, turning the complex into a strong civil icon representing Kuwait’s Ministry of Interior Affairs. S-Cube Chalet Beach House encompasses 3 small semi-detached beach houses with a duplicated program. AGi architects designed this complex to make sure each house has its own privacy and each of them can benefit from the outdoor areas and the sea view. Each one of the three houses enjoys a private outdoor area that is open to the sky, extended sea views and privacy from immediate neighbours. 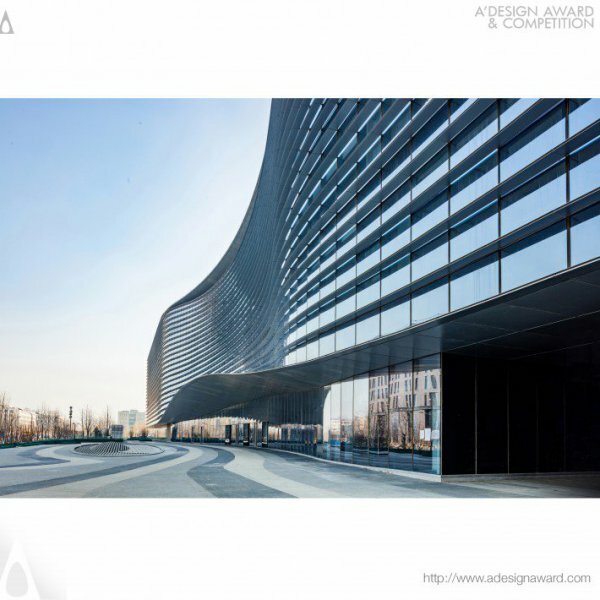 Xian Jiaotong-Liverpool University is designed by Andrew Bromberg, inspired from the porous nature of stones. The element of voids functions as links to the different programmes of the building and turns the building into a vessel for interaction. The Administration Information Building is serving as a dynamic gathering place for students and staff, with a structure that facilitates interaction. In the design of Hotel Indigo Hong Kong Island, Andrew Bromberg wanted to reflect the vibrant local culture and nature of Asia, Hong Kong and Wanchai. Burnished bronze solar fins wrapping around the building reminds of a dragon, rooting the building into the culture and traditions of Asia. The dramatic glass bottomed cantilevered pool on the roof top, shimmers at night, and is considered to be like the gleaming pearl often associated with the Chinese dragons. 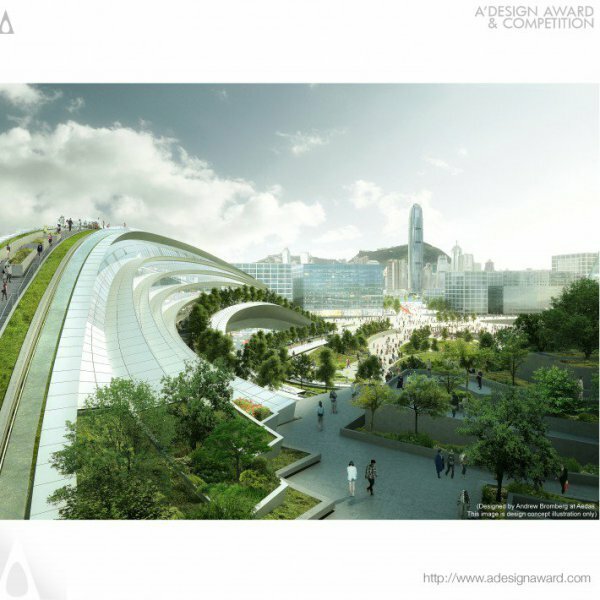 Express Rail Link West Kowloon Terminus, designed by Andrew Bromberg, will be one of the largest underground terminus stations in the world when it is completed. The design connects the station with its surrounding with a roof structure above that allows sightseeing of the famous Victoria Harbour from outside, and the great city skyline from inside. 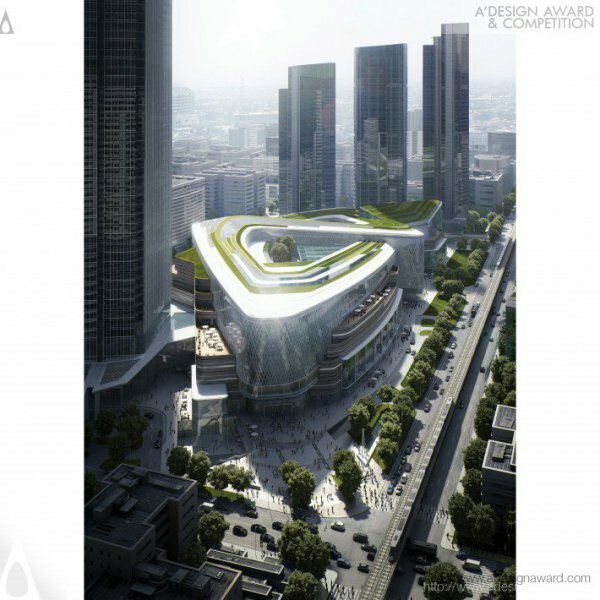 Nanfung Commercial, Hospitality and Exhibition Complex designed by Andrew Bromberg, incorporates 4 distinctive use within the body of two sites located with a 160 meter from each other. The unified structure of a vertical podium with a multi-storey horizontal blocks establishes and promotes a dialogue between the two buildings, leaping over the middle neighbour and creating a strong, unified architectural identity for the project. Xinhua Bookstore Group Mixed-use Project designed by Aedas, is inspired from an ancient Chinese proverb, “Knowledge brings wealth”. With this proverb in mind, Aedas created a project integrating the bookstore with cultural and natural elements of Chongqing to create an interactive ‘Cultural Innovation Oriented Development’. The project is a dynamic complex housing to different functions, it encompasses a sky cultural plaza, retails, apartments, offices, a boutique hotel and most widespread chained bookstore, Xinhua Bookstore. 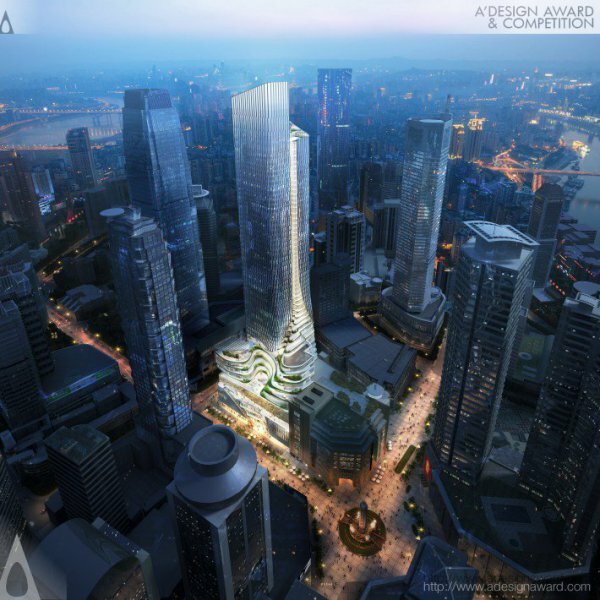 In Hengqin International Financial Center, Aedas got the inspiration from the Chinese literature, from the mythical creature of flood dragon busting from the sea. 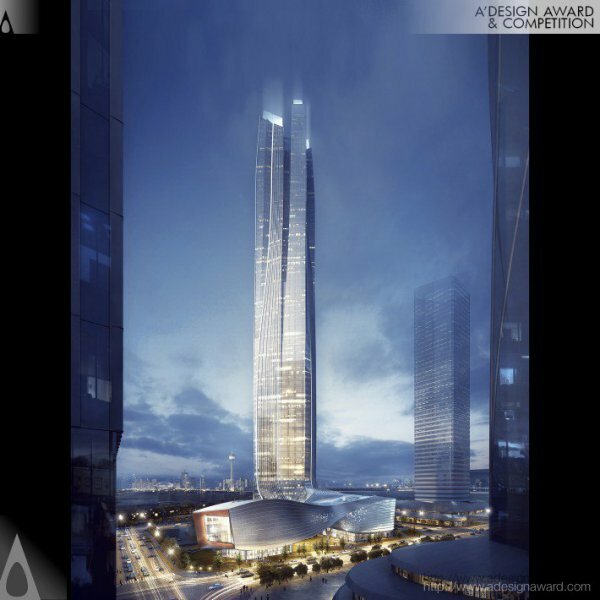 The composition of four tower, swirling together up to sky represents the new economic engine of the emerging megalopolis in Pearl River Delta (consisting Hong Kong, Macau, Shenzhen and Zhuhai). It is a mixed-use project, mainly including Class-A office building, supporting conference and exhibition facilities, apartments, service facilities and retails. The project creates a unique building icon that highlight the location and celebrate the local culture. 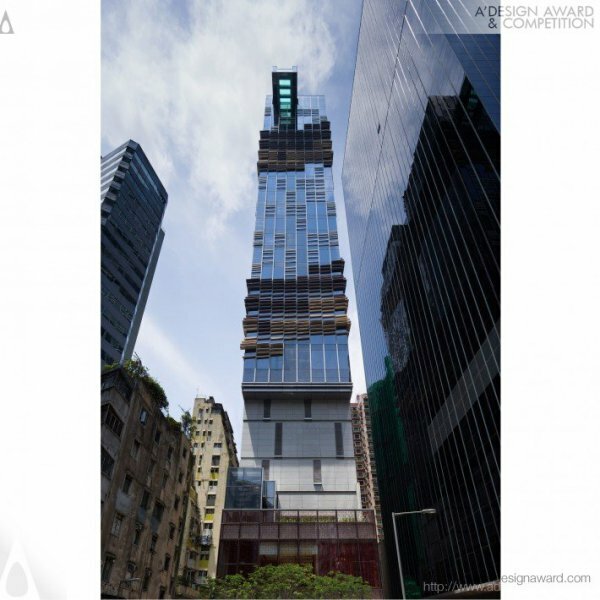 Heartland 66 is designed for retail, office and residential use by Aedas. The design itself is inspired from the Chinese knot, by adopting the infinity loop form to make a symbolic connection and establish a multi-level circulation network. The design resulted from understanding Wuhan’s social, environmental and cultural aspects, focusing not just on its heritage, but also embracing the needs of the dynamic modern global citizen. 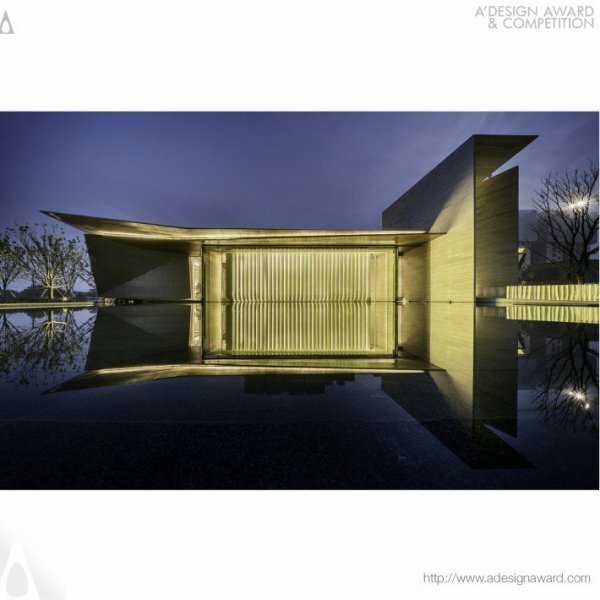 The intimate roof garden, the sweeping sunken plaza, the stepped terraces and the subtle lifting of the building from the ground is a response to the need for alfresco activities and increased public green space resulting from the changing local climate and evolving modern Chinese family dynamics. Sina Plaza is designed to be for office use of Chinese internet giant Sina. 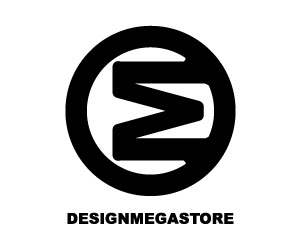 Design is based on the “Limitless” concept which is derived from the company’s nature to reflect unlimited boundary on the internet. 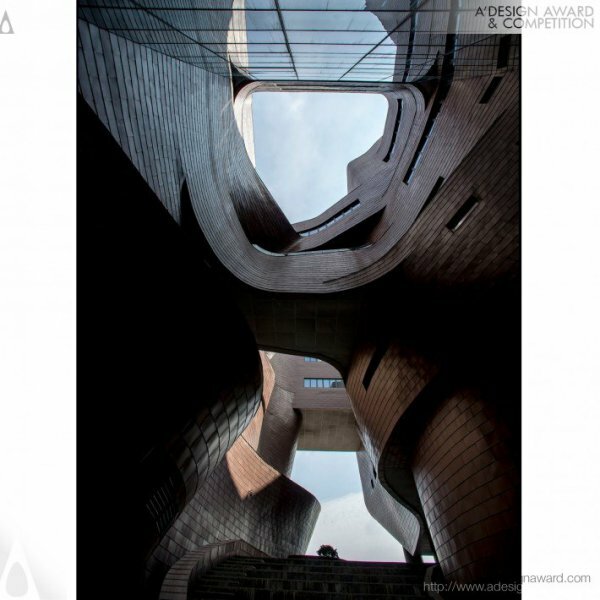 The building frames two open courtyards that the internal circulation route resembles the “infinity” symbol. At the building centre is the “Eye of Sina” to display instant information on media platforms and reinforce the sense of belonging. The rectilinear architectural form was squeezed, kneaded, pinched to express distinctive areas. 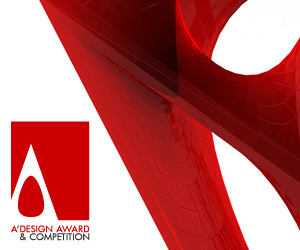 Today we have listed the top 5 architects from the most ranked architects of A’ Design Award & Competition Winners. 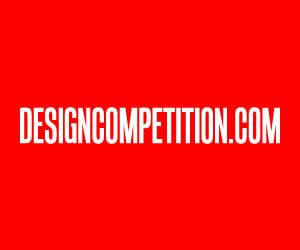 There are many more bright architects that is worth your attention so make sure you check them out! This article was added on Wednesday, 21st of November, 2018 at 09.26 am by author Frank Scott Tags: Architecture, architect, architecture design award, competition, award winning architects, architecture designers. Read our copyright policy here.